The Ruined Temples Of Ayuthaya, Thailand. 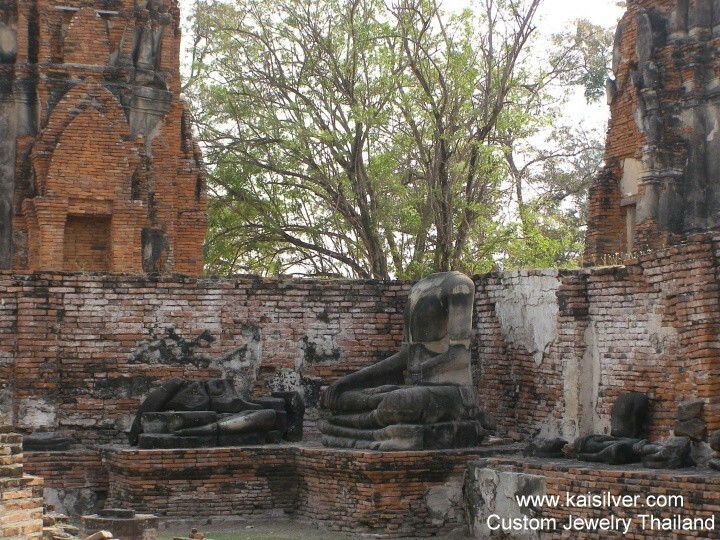 A few centuries ago, the province of Ayuthaya in Thailand was an important religious and political center of the country. A visit to this province today will bear testimony to Ayuthaya's historic past. In this report we take you on a trip to the fascinating temple ruins of the Wat Maha That temple in Ayuthaya. A major tourist attraction today, the huge temple complex attracts people of all nationalities and religions. You need not be a Buddhist to feel saddened by the mindless destruction around the temple. You cannot fail to be impressed by the enormous size of this Thai temple. 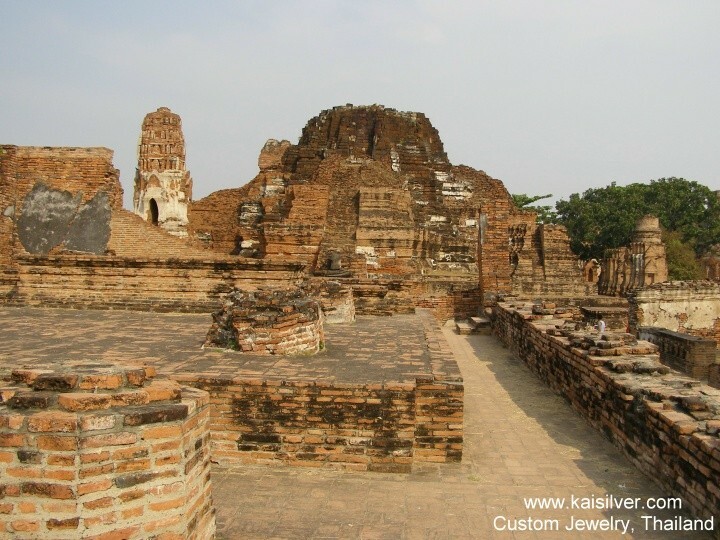 Much of the temple is in ruins today, the images and text compiled in this report will provide useful information about this very interesting place in Thailand. 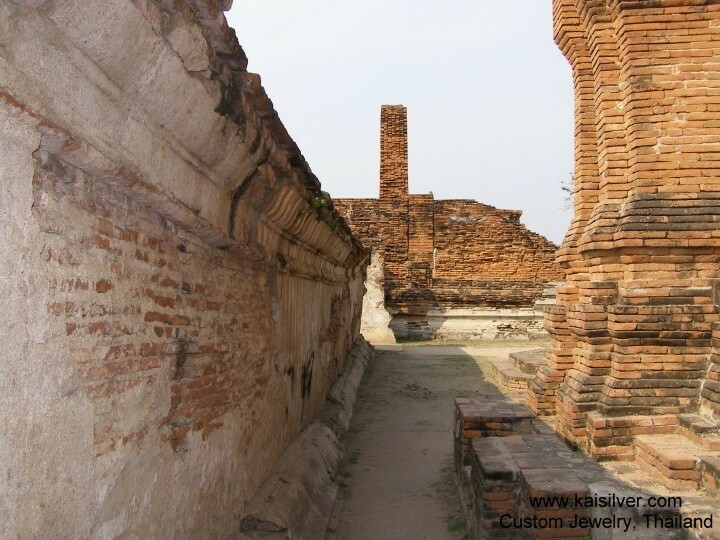 About three centuries ago, the wat maha thaat in Ayuthaya was the seen of a pitched battle between warriors from Thailand and Burma. The Burmese destroyed every thing in sight and looted every valuable item present on the temple premises. The above image shows one of the portions of the huge temple complex. The complex is today visited by hundreds of visitors each day. Since Ayuthaya is not far away from Bangkok, you can make a full day trip to this historic province and return to Bangkok in the evening. Given the fact that both Thailand and Burma are dominated by Buddhists, it is not clear why the Burmese warriors chose to destroy the temple. Even the Lord Buddha statues in this Ayuthaya temple were not spared, you can see many of these statues without heads. The anger and wrath of the war can be felt even today as you walk through the temple complex in the wat maha that temple. The interesting thing is that you do not see many statue heads fallen around. It is hoped that they were carried away by officials and preserved in museums. The once busy and sacred passages and isles in the temple are today walk ways for tourists from all over the world. You can see hundreds of tourists from ever part of the globe staring at the amazing temple structures. The atmosphere is generally quiet as the visitors see the magnitude of destruction. Some historians believe that the Burmese destroyed the temple mainly to loot the gold and valuables that were present on the temple complex. Others feel that the Burmese wanter to mentally pressurize the Thais by destroying this very important religious place.